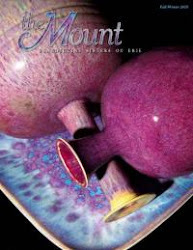 We are in the midst of an explosion of flowers as every day it seems another type blossoms forth. Rhododendron are in the forefront this week for sure. 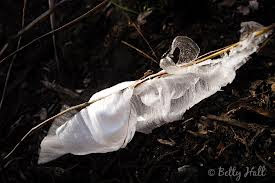 Recently a friend sent me a type of "flower" I had not only never seen but had not even heard of: frost flowers. Seasonally they don't fit here at all, but I wanted to share them anyway. Mother nature is the best there is, isn't "she"? 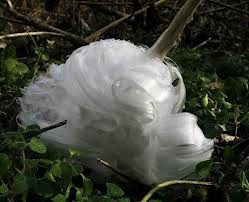 Frost flowers form under specific conditions, often in late fall or early winter. The liquid in the plant's stem expands when temperatures approach freezing. This causes the stem to crack. Capillary action draws the water or sap through these cracks and when it hits the air, it freezes. More and more water through the stem produces thin petal-like forms. When this happens in woody branches the freezing water looks like long strings of ice. 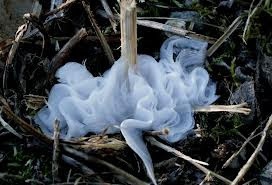 Go here for more info and photos on frost flowers.